The over-the-topness of this scene was only one facet of what proved to be one of the most diverse series to come out this year. 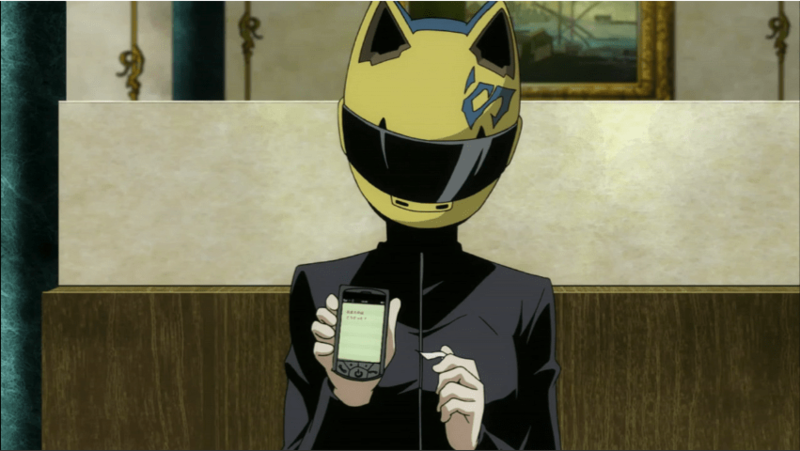 Exuding a coolness that current anime rarely has anymore—at least not since FLCL and Cowboy Bebop—Durarara!! went beyond the standard anime tropes and delivered a large but well-developed cast, shifts in moods from funny to convoluted to creepy to tragic, and a fully realized urban landscape. 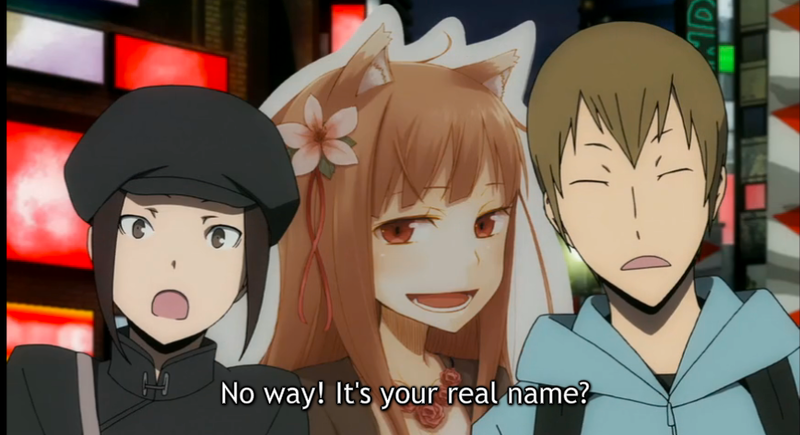 In fact, I like to call it an urban romance of sorts: Durarara!! is in love with the city and the night, filling it with headless riders and supermen and gangs toting Spice and Wolf cardboard cutouts. There’s even a whiff of Ghost in the Shell: Stand Alone Complex in its exploration of flash mobs and the power of the Internet, but with a less cyberpunk and more realistic edge. And did I mention that said headless rider is really…kind of moe? 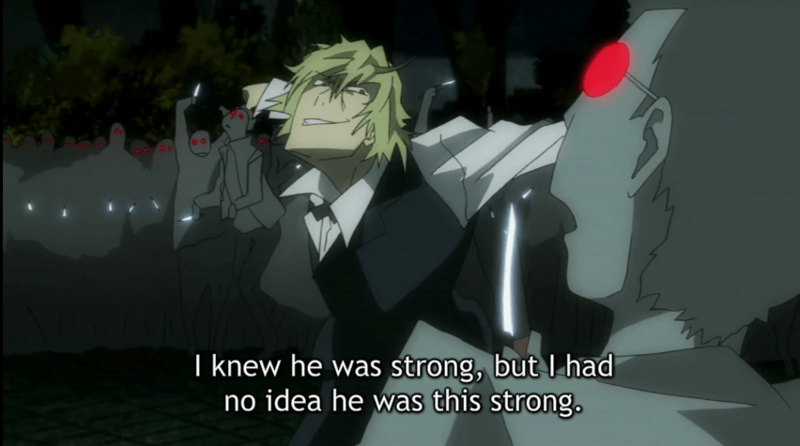 Which brings us back to Shizuo, the man who hates violence but can’t help it if he has powers. Which turn out to be incredibly, well, useful in this moment. It also exemplifies the series’ free-spiritedness and lack of abandon, which is yet controlled enough to be more accessible than the team’s previous series, Baccano. In fact, if there is any current series that had the potential to break out into the mainstream, it might have been this one: it seems aimed at far more than just the usual, insular otaku audience. Time will tell, with the upcoming DVD release, whether that will happen. Attention, anime industry: more shows like this, please. Hells yeah!!! This was one of my favorite shows this year! And yes, write to your congressman or w/e… we need more shows like this.